Foamco is the leading design and manufacturing company of monument signs, props, trade show booths, outdoor signs, backlit signs and all other signage. We are thrilled that you are interested in our products. Please fill out the form below. We will contact you as soon as possible to discuss Foamco solutions! We appreciate the opportunity to win your business! 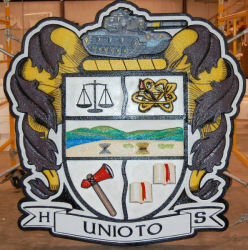 of foam monument signs, foam mounted signs and foam props.